For years, in the SCA I’ve heard that it’s everyone’s responsibility to be a chatelaine, and that we’re all ambassadors of the Society. The question of how we get new people into the Society and how to retain new members has been on a lot of people’s minds, both here in AEthelmearc and elsewhere, is how to keep and retain new members. Having had several different “newcomer” experiences in the SCA, once as a true newcomer, once returning after seven years away from the society, and now, as one who has introduced several newcomers to this hobby, I have some thoughts on the care and feeding of newcomers. Whether it is someone’s first time at a practice, demo, or event, or they’ve been to a dozen events and still consider themselves relatively new to this hobby, one of the key steps to engage them. Talk to them, find out their interests, what brought them into this hobby, what they know, and what they want or need to learn. If you can’t help them to explore a particular interest or hobby, direct them to someone who can, and if possible, take time out of your day to find that person and make introductions. The next time you see them at an event or a practice, engage them again, and see how things are going, and if they’ve found the help they need. While there is such a thing as too much engagement, most of us, particularly those of us with a comfortable number of friends and social contacts within the SCA err on the side of too little engagement with newcomers. This can leave a newcomer with the impression that nobody notices, or cares, whether they are at a gathering or event or not. Engage first, show interest, and engage often. This shows interest in newcomers, and the feeling that someone takes an interest in them, and cares about their learning, growth, and development within the Society will slowly turn the nervous newcomer, who is wondering whether or not they really belong here into the next ambassador of the SCA. One of the biggest problems that we often encounter with newcomers is our tendency, at society gatherings, to be somewhat insular, and to talk about very some very esoteric topics. While the nature of this hobby lends itself to that, it can be problematic to newcomers, especially in small groups. Sure, if you’re the autocrat, feastocrat, or Marshal-In-Charge for the next event, and most of the people in the room are involved in the planning and work on that event, it is sometimes necessary to iron out a few details. And discussing fun times and funny stories from prior events is fun, too. But to a newcomer, who wasn’t at a prior event and has no frame of reference for the story, or doesn’t have a role in the upcoming one that everyone’s discussing, can feel adrift, especially if they came to an A & S night, or a practice for the first time, and people are so involved in their conversations that nobody is teaching anything, or in armor and practicing. If you have an introverted newcomer, they may not be brave enough to ask if we’re supposed to be fencing, weaving, or learning about heraldry, instead of talking about the last event or the upcoming one. And if that newcomer comes to a practice, an A & S night, or a small gathering for an activity, and the promised activity doesn’t take place, because everybody gets caught up in conversation about other things, they probably won’t come back. Another area where we fail is often “The Tyranny of What Everybody Knows”. If the majority of a local group knows that heavy practice is on night A, fencing is on night B, A & S is on night C, shire/barony meeting is always on a given day and time at a given place, and stops putting the word out on e-mail lists, social media, the barony or shire calendar and other platforms, because “everybody” knows when these things are, the newcomers who are not familiar with the schedule and have an interest have no way to find out. The only way to get newcomers is to have a system in place to let people outside the established membership know what is happening, where it happens, and when it happens. While it’s true that longstanding members may tire of weekly posts on social media and local calendars about practices, gatherings and events that have been regular for the last ten years, it is often one of the few tools a newcomer has to know where to be and when if they have an interest in a particular activity. Always assume that there’s somebody out there that doesn’t know. Letting them have access to the details they may not have is one of the keys to growth. 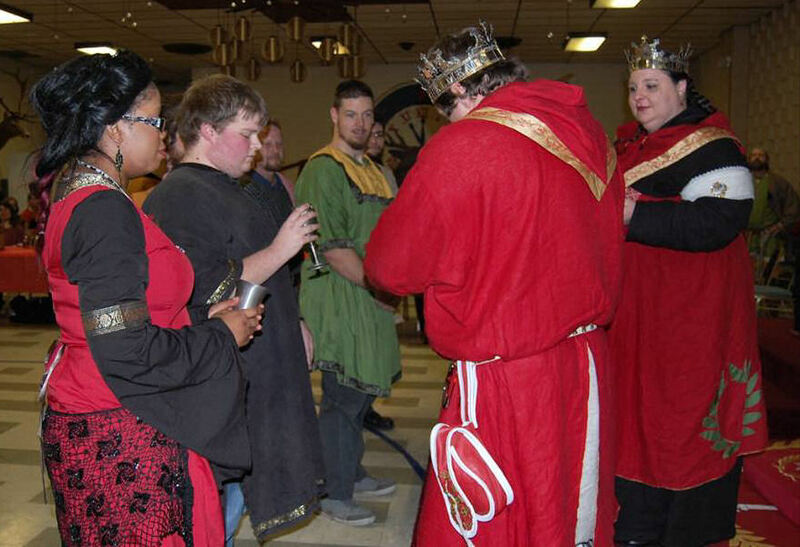 Posting every martial practice, every A & S night, every event, and every public shire/barony meeting, along with the time and location, may seem tedious to those longtime members in the group, but to newcomers who may not have any other way to find out about these things, it can mean the difference between becoming a contributing and productive member of a local group, and thus, the greater society, or giving up because it’s too much work to find out what’s going on this week. The idea that you dance with the one that brought you is another weakness that is sometimes seen in the society in regards to newcomers. 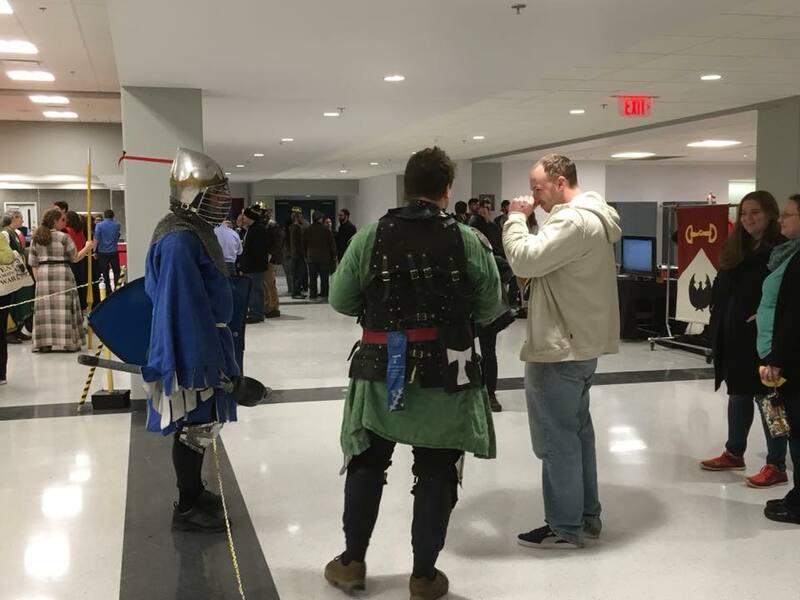 It’s rare that anybody finds the SCA and comes to their first event as a result of learning about it online, attending a demo, or because somebody mentioned their involvement in the SCA on TV. 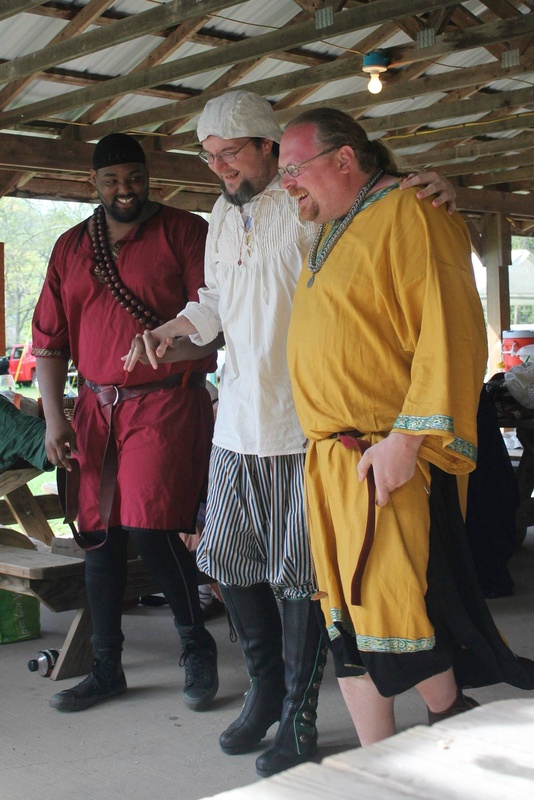 Most people are introduced to the SCA by friends or family who are involved, love to talk about their hobby, and enjoy bringing people who show an interest in learning more. However, a problem arises if and when John, a longtime SCAdian, brings his friend Dave to a number of events, introduces him to people, gets him involved in various hobbies within the society, and nobody really gets to know Dave except as a sort of extension of John. So when Dave is six months in, and enjoying himself so far, he attends his first event without John, and finds that, without John to act as a sort of bridge, buffer, and social facilitator, except for asking about John, nobody really makes an effort to engage him in conversation or involve him in the activities of the day, or even answer his questions. As a result, Dave feels ignored by the people he thought he was starting to make friends with, and feels like something of a non-entity, like nobody cares whether he comes to things and gets involved or not. And when the event is over, maybe he talks to John about it, and maybe he doesn’t. Maybe he goes to another event where John can attend, because he had fun previously. Maybe he tries another event without John, to see if this reaction was a fluke. Or maybe he feels slighted and ignored enough to not want to return, and starts making excuses not to attend things when John asks. Simple issues like these can take the shine off the dream for people. This is how we lose members, and fail to keep new ones. While I’m not saying you can or should treat every newcomer like your best friend every time you see them, always be willing to engage and help them. Let them know that their presence is acknowledged and wanted. That newcomer might not be a friend, or a highly involved member of the SCA yet, but with the proper care and feeding, in a year, or five years or ten or twenty they might become the friend you never knew you wanted, or the Knight, Laurel, or Pelican who inspires and builds the next generation, so the dream remains alive in the next decade and beyond.